If you want to see Alaska, one of the best ways to do it is aboard the Alaska Railroad. The Alaska Railroad’s main line stretches 470 miles from Seward to Fairbanks plus a 12-mile spur to the tiny port town of Whittier. If your Alaskan cruise starts or ends in Seward, the railroad can provide the most comfortable and scenic connection to Anchorage. The railroad is the best way to visit Denali National Park. The Alaska Railroad operates year round, with scheduled service varying seasonally: the busy summer season stretches from mid-May to mid-September, while the quieter winter schedule spans mid-September to mid-May. So a variety of excursions and day trips are available as part of the schedule. We can work with you to find the best use for the Alaska Railroad in your itinerary. 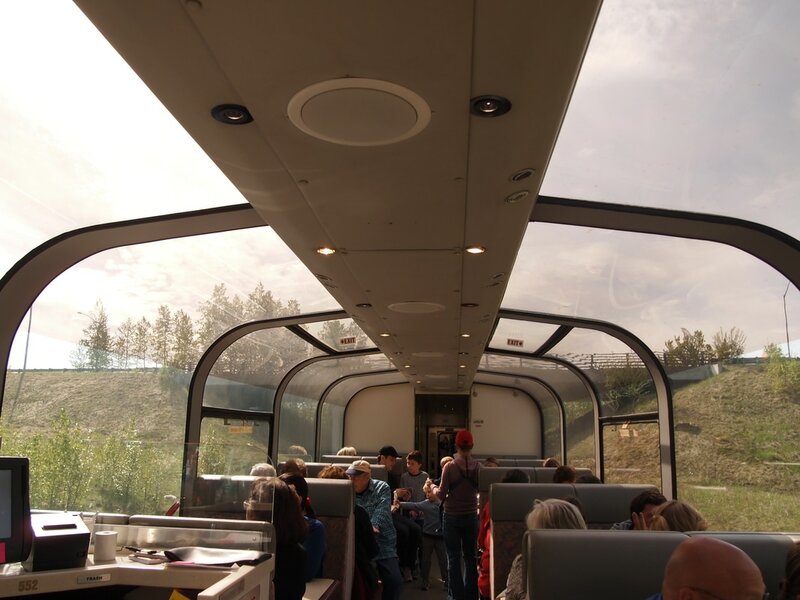 Dome car on the Alaska Railroad.